Present in Bulgaria since 1994, BNP Paribas has a history of commitment to providing value added services to the Bulgarian market. BNP Paribas’ involvement in tennis dates back to 1973, one of the longest partnerships in the history of sport. Today we are the number one sponsor of tennis at all levels and tennis plays a central role in BNP Paribas development strategy helping to promote and grow our brand across the world. However, BNP Paribas goes beyond the simple aim of highlighting our brand. We are a committed and active partner. The slogan ‘We are tennis’ underlines this determination to promote the sport of tennis for all and in all its forms. BNP Paribas’ commitment to tennis is not limited to just the professional game. The company is involved in numerous leagues and national federations, we work hand in hand with junior competitions and amateur tournaments and our aim is to support all tennis players and lovers of the game. That’s why we LOVE TENNIS, because WE ARE TENNIS and that’s why we support the 3T initiative. In 2016, BNP Paribas S.A. – Sofia Branch continued its partnership with the Bulgarian Tennis Federation supporting the new ambitious programme Tennis Team Talent (3T) designed to help young Bulgarian talents to reveal their full potential. Bulgaria is one of only twelve countries worldwide with a representative in both the men’s and women’s top 50. Unfortunately, youngsters who show potential talent are hindered in their development by a lack of international competitions, often resulting in a sense of resignation and abandonment after the age of 15. The 3T Project allows selected kids to participate in several tournaments part of the Tennis Europe tour, the best preparatory tour for accession to ITF and ATP classification. During its first year, in 2016, the 3T Project was extremely successful – both teams have won 21 titles out of 48 possible! On behalf of BNP Paribas I wish the Bulgarian Tennis Federation and the 3T team the best of luck in the second year of the project. 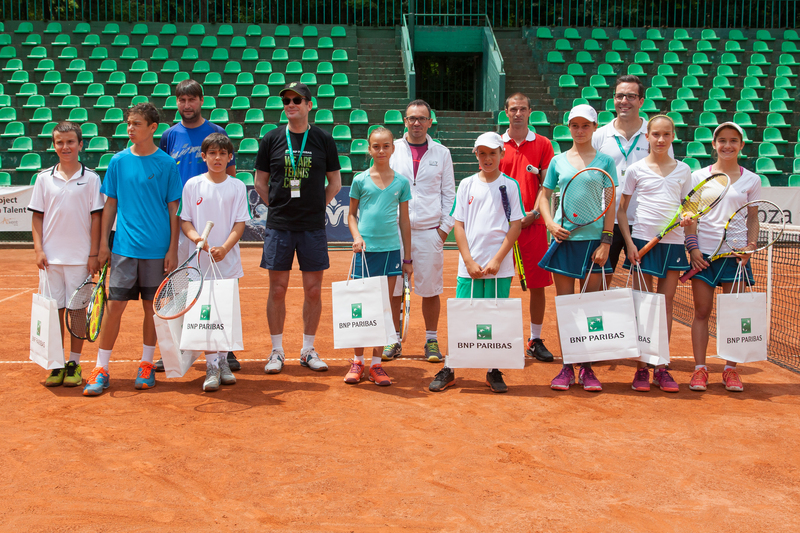 BNP Paribas is proud to support and contribute for the talent development of the young tennis players.